Ryan-Work.com: CLIMAX TRIBAL MIAMI PRIDE WEEKEND!!! 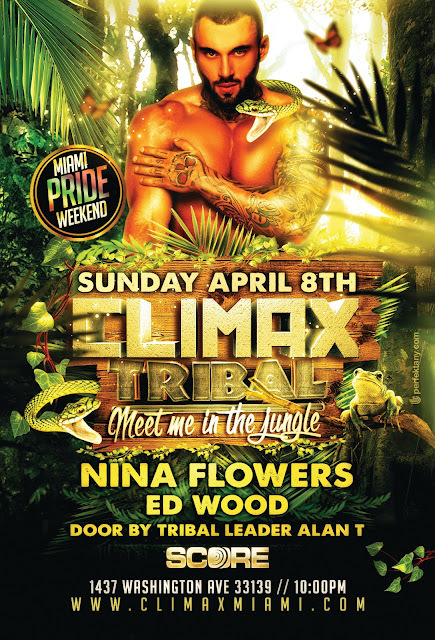 CLIMAX TRIBAL MIAMI PRIDE WEEKEND!!! You asked us for it. We Listened. We Are Taking CLIMAX TRIBAL to the Beach! Get ready for an intense TRIBAL BEATS THROWDOWN with the Legendary DJ Nina Flowers!!! & direct from Puerto Rico & Hydro Resident DJ Edgard Wood (DJ Ed Wood) !! !